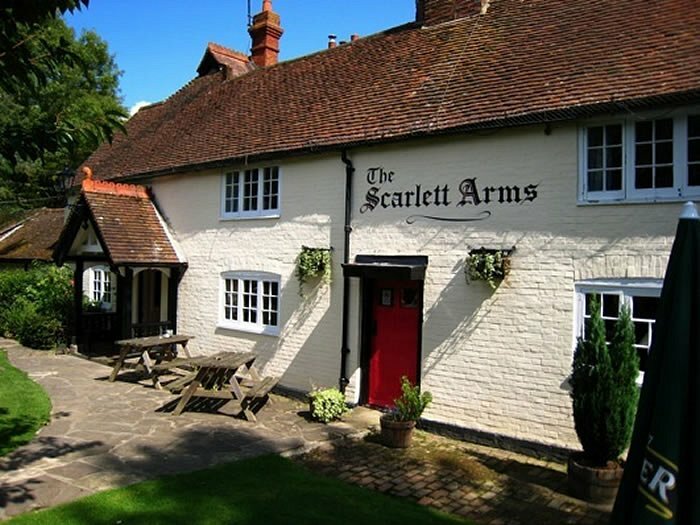 The Scarlett Arms is a picturesque, cream-white pub, in a secluded position, with a cosy bar and three interconnecting small rooms with an old-fashioned but charming ambience. Flagstone floors, oak beams, wooden benches and large fireplace. The pub was refurbished in 2007. There is an attractive garden at the front. The pub is very cyclist-friendly and has cycle racks. The pub is on the Surrey Cycleway. Other pubs in this area include the Parrot at Forest Green and the Punchbowl Inn at Oakwoodhill.